Positive Force: Growing in Unity Day Three and the Summer Coffee Lovers Blog Hop! 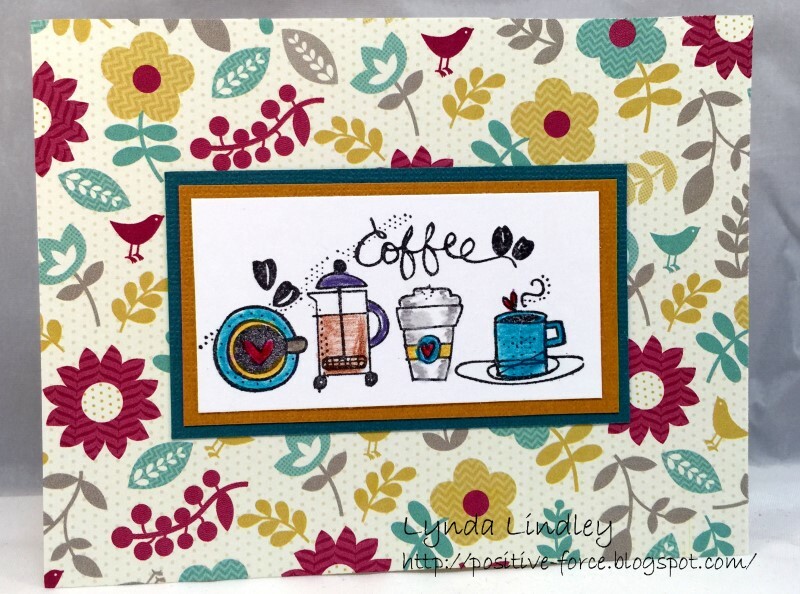 Growing in Unity Day Three and the Summer Coffee Lovers Blog Hop! Welcome Unity Friends and Coffee Lovers!!! 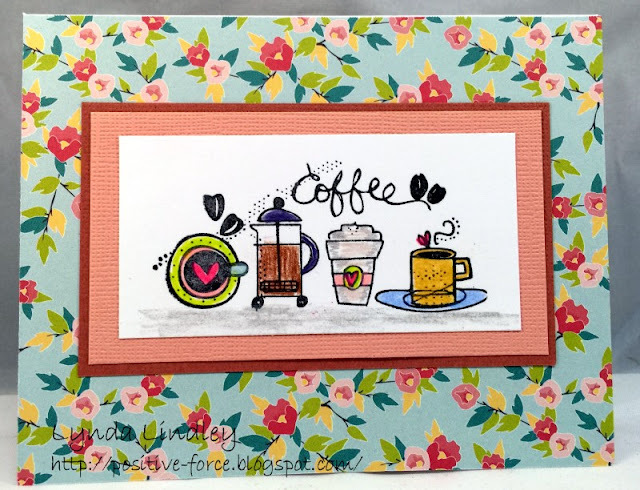 I am so excited to share with you my day three projects and also participate in the 2017 Coffee Lovers Blog Hop! I have been doing these hops each and every time and look forward to all the inspiration that comes from the amazing projects submitted! I stamped the images using Memento black ink. I then colored them in using my Prismacolor pencils. I got a HUGE set of them for Christmas this past year, doubling the number of colors I had. I then trimmed the cardstock down and matted each with coordinating colors. I then found these wonderful summery pattern papers in my stash and used them as the base for my cards. Summer for me here in California means flowers...lots and lots of flowers, so I had to pick papers that reflect the colors of the flowers in my garden. I love how different each card looks using the same stamp, but different colors! I hope you are inspired to maybe create a coffee themed project and link it up on the 2017 Coffee Lovers Hop post. And don't forget to leave a comment on each post this week...I get to pick one lucky person to win an awesome prize from Unity!!! These are darling Lynda! Love seeing your projects! I like the sweet papers you chose as backgrounds for these coffee images. I think that I need this stamp because it is really cute, and everyone loves coffee!!! I love this so much that I went and put that stamp on my wishlist! Wonderful card! Like how the background papers really change the look of the stamp. I really like how you used different color on each card. They are very pretty. Love the patterned paper backgrounds, supercute images! Love the Coffee Side by Side set and had not seen it before! Another one for my wish list! Great cards with pretty papers and colors! I have this cute set, too. I love the papers you paired it with, especially the first one with the birdies. I'm a birdie lover! Thank you, and yes you give me some inspiration. Love how you brought everything together with the patterned paper. Thank You! Super cute cards. Love how fun and colorful they are. One of my favorite stamps! So many possibilities. Beautiful card! All are so very beautiful. You have wonderful pattern papers for them and the coloring of the images is gorgeous! Both are beautiful! Love these!